The foreclosure of a Delavan Lakefront Property has created the unique opportunity to purchase a lakefront home for less than half of the assessed value. Located at 2316 North Shore Drive, the property is situated on 60 feet of shoreline and features over 5,500 square feet of living space. This listing price is $802,900 while the assessed value is $1,7361,600. 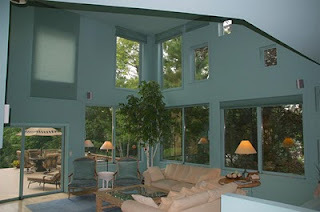 The home was built in 1991 by a family that wanted a large lakefront yard and a modern design. The architect developed the plan for the house based on a barn and silo. As unflattering as this may seem, the interior was an open and spacious floor plan with six bedrooms, four bathrooms, art studio, exercise room and lakeside sunroom. 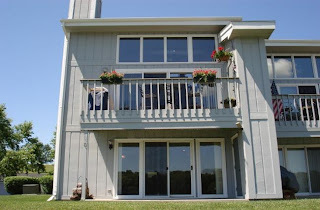 The home has a boat house with screened sitting area, children's play house, lakefront deck and remote controlled window coverings in the great room. The home was used primarily as a summer residence and fell into disrepair over the last few years culminating in the foreclosure a few months ago. As a result, potential buyers need to be aware that they will be purchasing the property "as is" without a real estate condition report from the bank. Visible areas of concern include the roof, some of the siding, moisture accumulation in the lower level, and the use of "robins egg" blue paint throughout the entire house. A new Delavan Lakefront Condo is attracting buyers at the entry level price point. Listed at only $169,000, this one bedroom, one bath unit is a remodeled retreat. 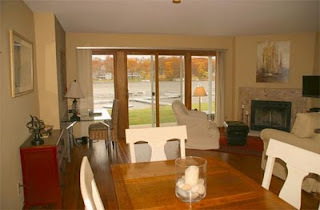 The unit features wood floors, a gas fireplace, granite counters, and a private lakeside patio. The complex features an outdoor pool, tennis courts, basketball court, and piers with boat slips. There is also a one car garage and boat launch for the unit. Priced $15,000 less than a comparable unit in the same Delavan Club complex, buyers are continuing to benefit from the slow real estate market around Delavan Lake. 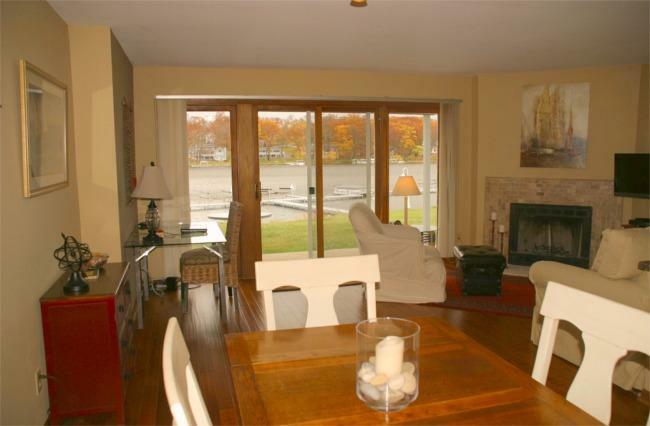 The buyer activity is picking up on Delavan Lake. As has been the case over the last two years, there is an influx of buyers interested in Delavan Lakefront Property in the fourth quarter. Showings are up. Inquiries are up. And there are three accepted offers on Delavan Lakefronts. 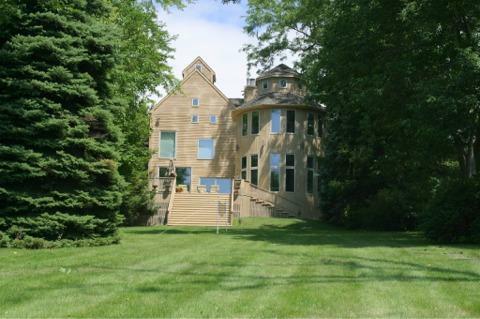 One of these properties is a five bedroom, five bath, new construction on South Shore Drive. Originally placed on the market at $2,499,900, the property has been reduced to $1,795,000, and most likely will sell for a bit less. This is typical of many Delavan Lakefront Properties that are on the market. Overly aggressive agents priced the properties above an overheated market only to be forced to slash the prices to get buyers interested. Prices are now close to the assessed value and the assessed value appears to be a good indicator of the true value for Delavan Lakefronts. For example, the five bedroom mentioned above, is assessed at $1,800,000. With the property coming on the market 33% higher, the reduction follows the overall price decreases we have seen in the Delavan Lakefront market. As a result of pier regulations adopted by the state of Wisconsin in 2007, some piers on Delavan Lake will need to be registered by April 1, 2011. Most of the piers on Delavan Lake are grandfathered, however, owners of Delavan lakefront property will want to visit a site provided by the Wisconsin Realtors Association to help determine whether or not action will need to be taken. The site is located at http://news.wra.org/story.asp?a=1316. A pier can be registered with either the DNR or with the register of deeds. If a pier is not registered, it could be considered illegal and subject to removal by the DNR. A visit to the Wisconsin Realtors site is a great way to make sure you are in compliance.